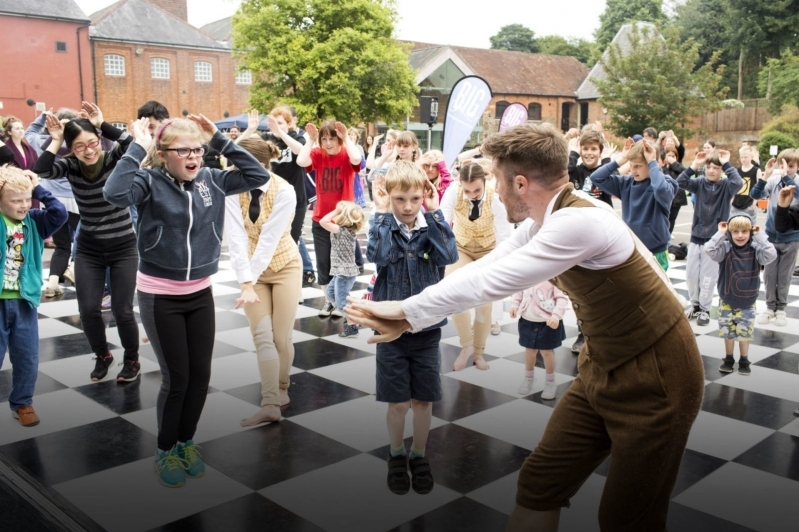 To celebrate the launch of our new base at Farnham Maltings, New Adventures brought the Big Dance Bus to the Maltings in partnership with Stopgap Dance Company and The Dance Movement, on Saturday 18 June. We were astounded by the number of people that came and took part in the day, it really was a huge success. People were able to see and be involved in a combination of workshops and performances, including New Adventures dancers performing an excerpt of Country from Early Adventures. 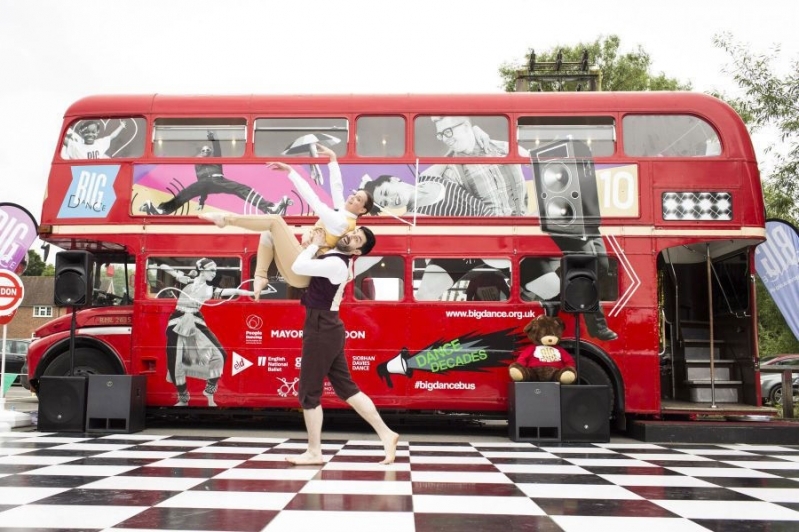 The Big Dance Bus transforms the iconic London double-decker Routemaster into an all singing all dancing extravaganza, complete with a pop up ballroom with its own dance-floor, DJ, MC, sound system and activities to provide a big free party and unforgettable experiences for all. "We are delighted to be launching our partnership with the Maltings through an event that symbolises everything we care about at New Adventures - world-leading dance, lots of fun and laughter and some unexpected moments of surprise along the way." The Big Dance Bus in Farnham was a fantastic, interactive event which had everyone grooving along, regardless of their age, dance experience or ability. From the Charleston to ballroom, disco fever to hip hop, hula to open floor jams there was something for everyone. Images: Helen Maybanks. The Bus is part of the Big Dance biennial festival led by the Mayor of London in partnership with People Dancing and the Big Dance Hubs, a network of leading dance organisations across the UK.